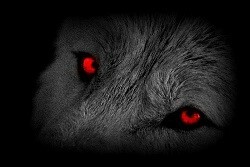 Welcome to The Predator's Eye—your source of information about night hunting using infrared technology. Why should I consider hunting at night? Although exact numbers are surprisingly difficult to find, the National Shooting Sports Foundation states that in 2010 there were some 8000 hunting related accidents in the United States alone. Most of these accidents occur during the day and are entirely avoidable with proper training and safety precautions. In an ironic twist, hunting at night with the right equipment can actually be safer than hunting during the day. you Many hunting accidents occur because a hunter misidentifies a target—mistaking a fellow hunter for game. You may prefer thermal, digital or white phosphor night vision. Using cutting edge of infrared technology, hunters at night can easily identify all warm blooded creatures—man or beast—by their heat signatures. Better still, hunters can see the shape and size of anything that appears in their IR gear. This information drastically reduces the likelihood of mistaking a person for a deer or other game. The most popular infrared hunting accessories are scopes and monoculars. IR scopes come in many shapes and sizes with an equal number of specifications. Infrared Monoculars or monocles are essentially scopes that can be held in one’s hand as opposed to being mounted on a rifle—think binoculars for the dark. There are literally hundreds of IR scopes on the market today which can make scope shopping quite the challenge. So with so many options for IR scopes, what factors should one consider? As you can imagine, prices vary widely, ranging from under $100 to tens of thousands of dollars. This is measured in fractions of a degree. The smaller the number, the more sensitive it is. As with most products, newer models typically have more available features and better technology. You never know when your target will come traipsing through your line of sight. You don’t want to miss your chance because the scope is taking too long to turn on. Most of the time, the scope will be mounted to the rifle, but sometimes it is nice to be able to detach it and use it as a hand held monocle. The better the zoom, the more flexibility the hunter has. This decision must be made, of course, with regard to the rifle’s range and capabilities. These devices do require a power source to operate. The better the battery, the more reliable your scope will be and the longer you can use it in the field without recharging or replacing it. 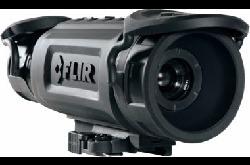 Some IR scopes are capable of snapping pictures or recording video. This is certainly a fun feature, but for serious hunters, it can help them track their prey as well. In general, lighter is better. The less the scope weighs, the more maneuverable the rifle is. Plus, less weight means less fatigue for the user. With some 16,000,000 hunters in the United States alone, IR scopes and monocles have enormous potential to transform night hunting by making it both much safer and much more fun. We hope this site will be both informative and fun as you learn more about this amazing technology and how it is changing life as we know it. If you have questions about the topics we cover here or would like to become one of our sponsors, we encourage you to contact us at: ThePredatorsEye@gmail.com. 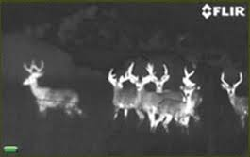 Discover the many aspects of infrared and thermal imaging along with light amplification to make nignt hunting safe and exciting.